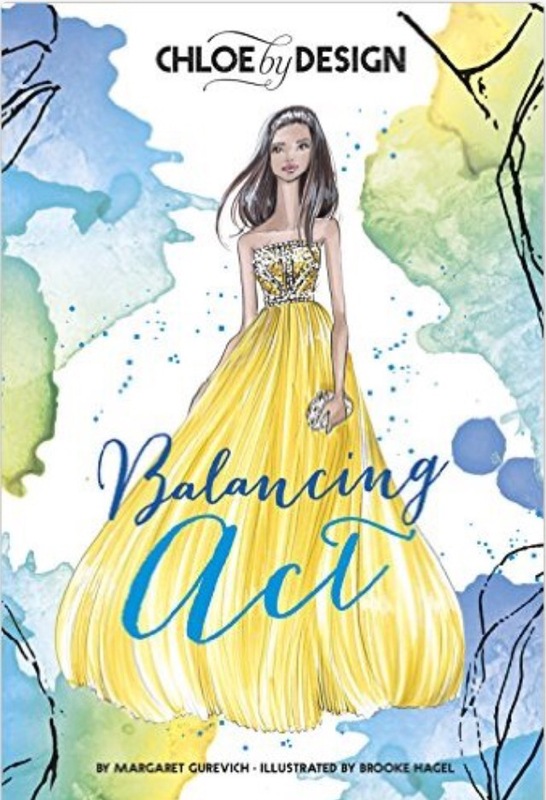 In Balancing Act, we follow Chloe at her New York fashion house internship that she won in Book #1 (Making the Cut). She lives in a dorm where one of her roommates gives her a hard time about not earning her way into the industry. But Chloe is so good at creating unique fashion, that her samples get chosen to be made into designs for fashion week. Her mentors even give her a gift bag at the end of her internship — and it contains a surprise that Chloe had only dreamed of. I really liked the full color fashion sketches in the book. When Chloe described clothing she saw, the next page would have a drawing of that item. The book illustrated many kinds of clothing, and I especially liked seeing all the different ways a simple shirt could be designed. I liked that the author made a few mean characters in the middle of all the happy friends, families, interns and mentors. The story seemed more realistic that way. Even though there were always those mean people trying to discourage Chloe, she focused on a good support system of people who encouraged her to go for her dreams. Now that Chloe is done with her internship, I’m excited to read Book Three when she is back in her California hometown. I thoroughly approve of starting our reviewers young:)). Congratulations on a good review!